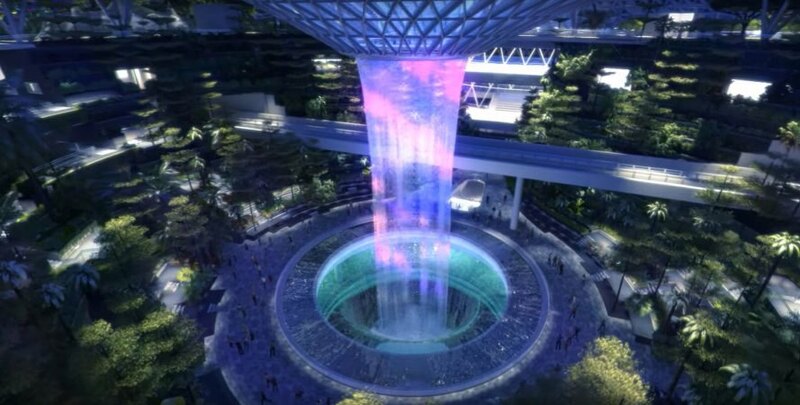 Air travel is usually a nightmare, but Singapore’s new Jewel Changi Airport extension is taking the sting out of the experience with a lush jungle and the world’s largest indoor waterfall. 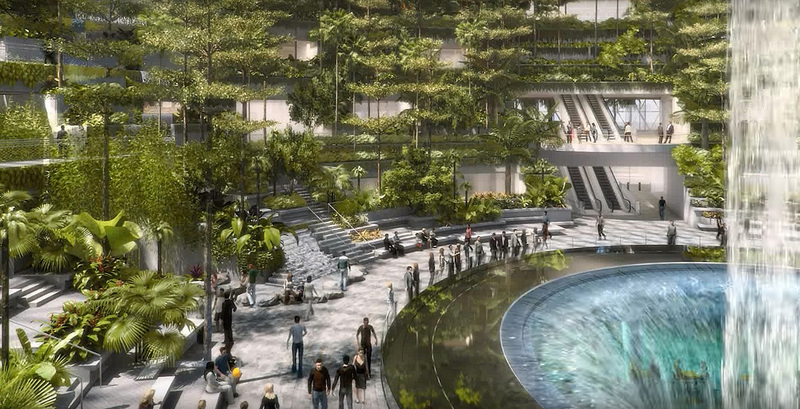 The 131-foot-tall waterfall, conceived by water design firm WET and Safdie Architects, will be the centerpiece of “Forest Valley,” a lush indoor garden nestled under a large glass dome. 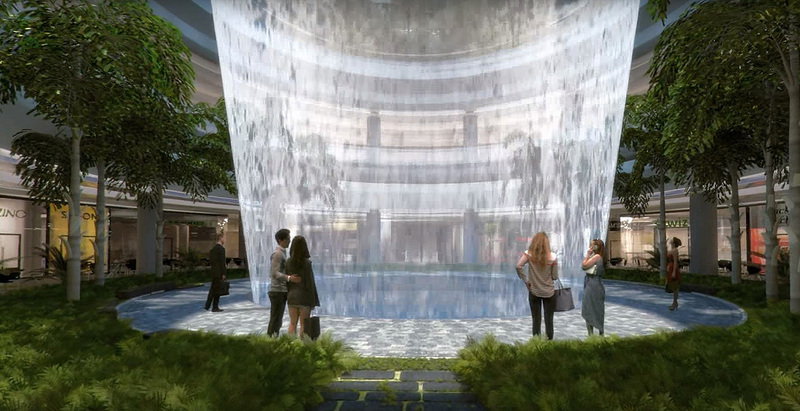 The waterfall, dubbed the Rain Vortex, will be housed in a huge glass toroid, and will fall though the hole in the middle of the structure. At night, choreographed light shows will make the waterfall glow, illuminating the interior in an array of different colors. 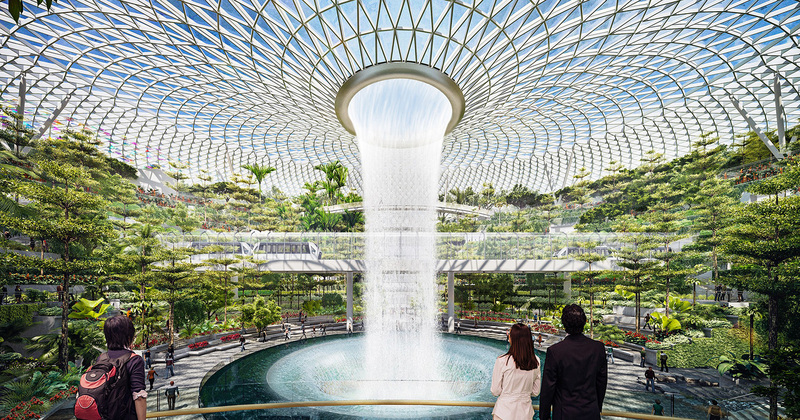 The 134,000 square meter addition to Singapore‘s main airport is expected to wow travelers with an environment unlike any other. It is currently under construction, expecting completion in early 2019. 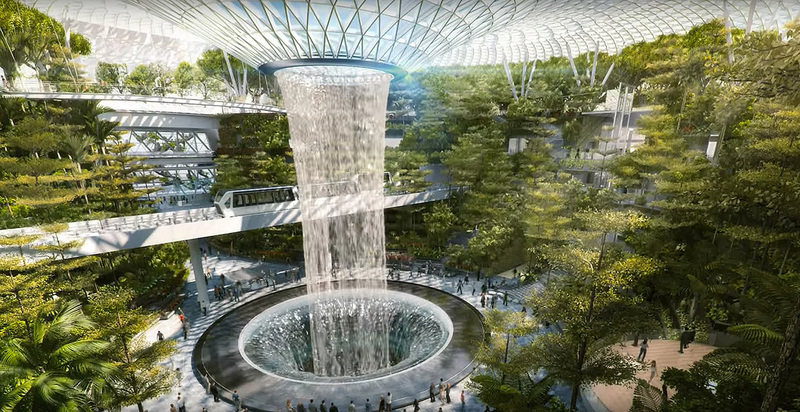 The world's largest indoor waterfall is currently being built in Singapore's new Jewel Changi Airport extension, designed by Safdie Architects. 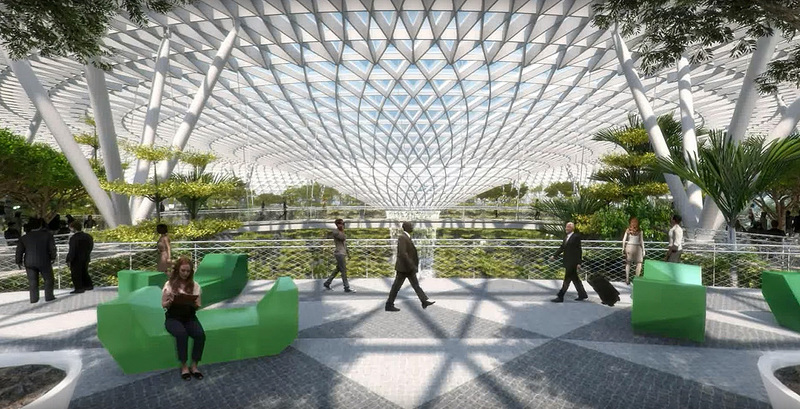 The 131-foot-tall waterfall, conceived by water design firm WET, will be the centerpiece of the Forest Valley, the airport's lush indoor garden nestled under a large glass dome. 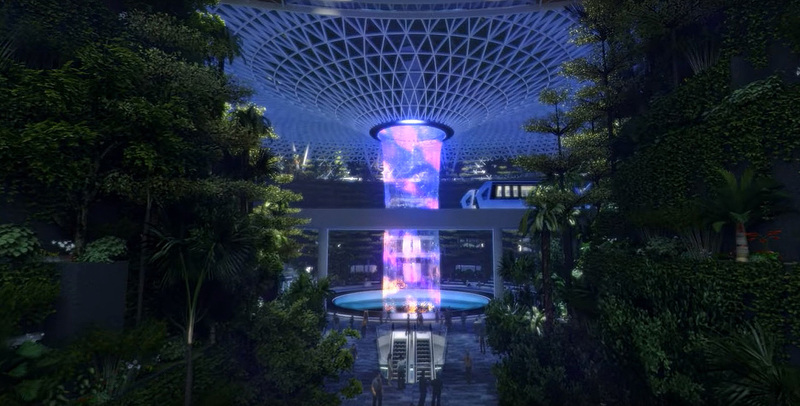 The waterfall, dubbed the Rain Vortex, will be housed in a huge glass toroid, and will fall though the hole in the middle of the structure. At night, choreographed light shows will make the waterfall glow, illuminating the interior in an array of different colors. 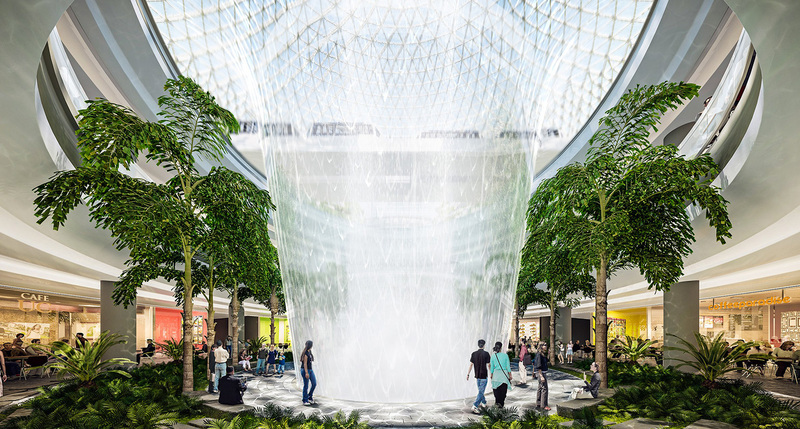 The architects and engineers conducted a series of airflow studies on the glass dome in order to prevent the buildup of humid air that would naturally occur around this amount of falling water. The team came up with a solution that alters the way turbulence affects the surrounding air. Several built models helped determine the behavior of the design. 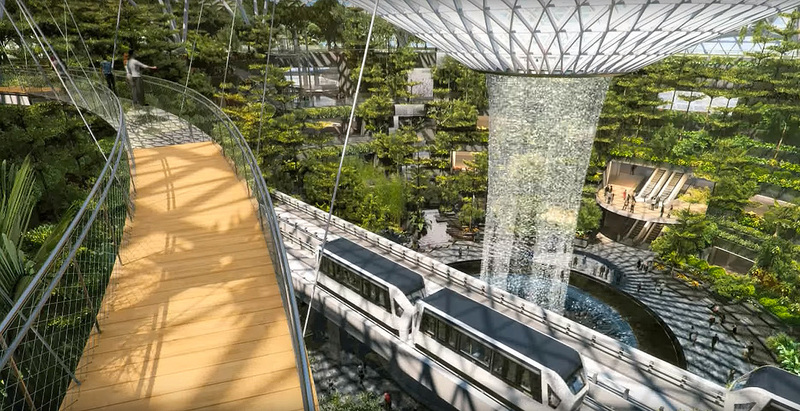 The 134,000 square meter addition to Singapore‘s main airport is expected to wow travelers with an environment unlike any other. It is currently under construction, expecting completion in early 2019.